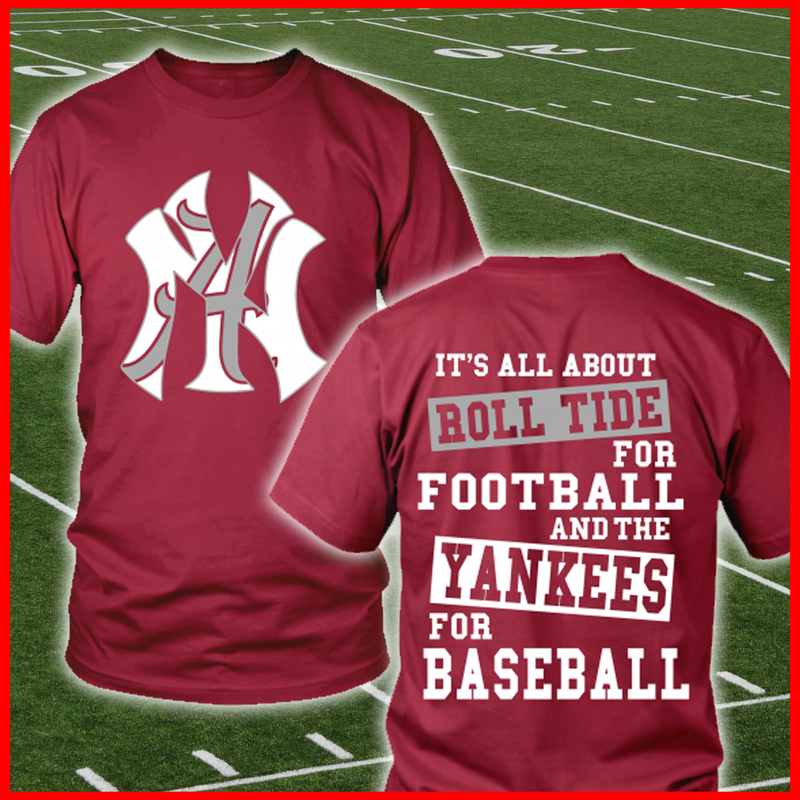 Shirts With Random Triangles: Yes, There's A T-Shirt For Those Who Like Both Alabama And The Yankees. 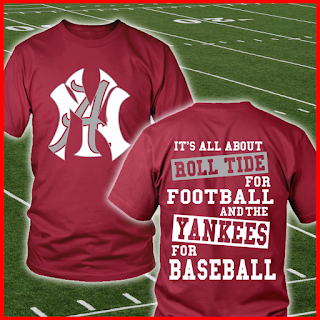 Whether there's a market for a 'Bama/Yankee fan t-shirt is another question. I can't recall anyone calling up Finebaum, declaring "Saban could lead the Yankees to the World Series, PAWL!" Or, "Mariano Rivera would lead 'Bama to three national titles if he was QB, PAWL!" The t-shirt comes in a unisex version for $22.99, or a women's t-shirt for $23.99.